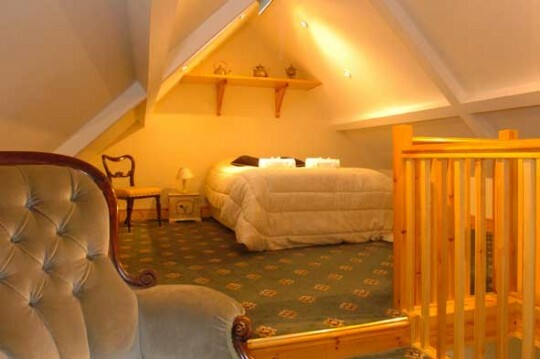 You block-book all the bedrooms (25 en-suites and 13 further budget rooms) for two nights for £4,900. 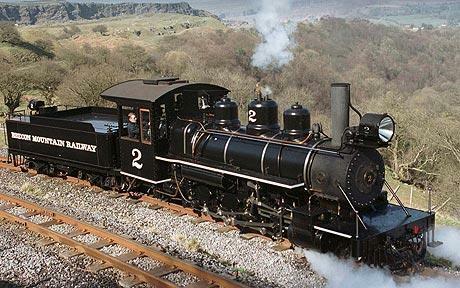 This is £2,000 less than our discounted two-night B&B Tariff for 70 guests. This block-booking at a discount to you, offers you further savings personally, as your guests fill the rooms and pay for their own B&B at regular tariff. Your fixed rate of £4,900 secures all the rooms for the whole weekend. The more guests you have booking accommodation, the more you save on your Wedding. Your block-booking rate for all the rooms remains the same whether you have 50, 70 or 100 guests stay overnight. This means your guests’ B&B payments reduce what you personally pay for your wedding. Block-booking all the Accommodation at a fixed £4,900 for all the rooms for the whole weekend means you secure a rate £2,000 lower than the wedding B&B Tariff available to guests. The regular wedding tariff for your guests in turn has a discount on the night before your wedding - half price! So your guests get a good deal as well. As your fixed rate of £4,900 for all the rooms for TWO nights B&B remains the same regardless, whether you have 50, 70 or 100 guests stay overnight, the more guests you have to stay, each paying for their own accommodation, the more you can save on your Wedding. Here is how it works. Under all our Wedding Packages the regular B&B tariff the first 50 Guests is £75 B&B for the wedding night’s accommodation and £35 for the night before, so £110 per guest based on two sharing an en-suite. 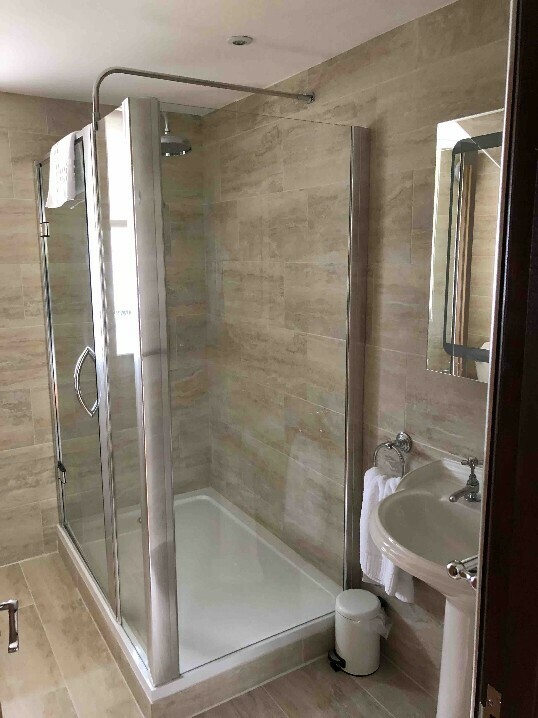 There are 25 en-suites, so we will accept 50 guests at £110 per person for two nights B&B based on two sharing an en-suite. This means your first 50 guests pay £5,500 for their B&B as per Example 1 below, so you as the Wedding Couple are left to pay £10,500 instead of £16,000 for this full Weekend, Exclusive Wedding Package. 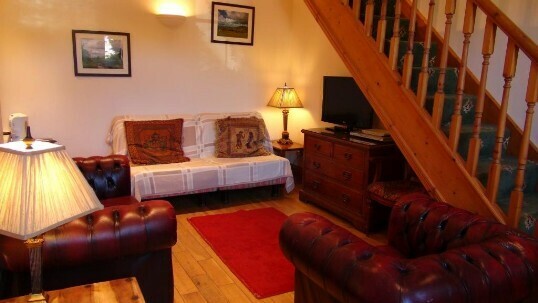 In Example 2 below you can have 70 guests stay the two nights, paying £6,900 between them for their own B&B. This is £2,000 more than your £4,900 fixed block-booking rate, reducing what you pay down to £9,100 for your two day Exclusive Wedding instead of £16,000. It gets better the more guests stay overnight. In Example 3 below, 70 Guests stay both nights, and if you arrange with them to book the Friday on a Dinner, B&B basis, this comes to £8,650 for their D, B&B. This in turn reduces what you personally pay down to £7,350 for your Weekend Exclusive Wedding Package. However we expect most Couples will opt for Example 2. To achieve 70 guests staying on the Friday, make full use of the Friday and hold a two-day wedding event. NB: Your Weekend Wedding can either run over a Friday and Saturday, or over a Saturday and Sunday, in which case the Saturday would be used for the pre-wedding events. For further ideas on holding a two-day Wedding Event see 'what you can do before the wedding day' here. You are bulk-buying all our Accommodation for £4900, but you can arrange with us to have your guests book direct with us and pay us for their accommodation at the 'regular hotel tariff' that guests would ordinarily pay. This means that, provided enough guests stay, your guests between them will pay us more than the £4,900 that you have contracted all the rooms for. Any surplus received from your guests above £4,900 means you make a further saving on your wedding. Whether you have 50, 70 or 100 (the maximum) guests stay, your contractual amount for all our rooms remains £4,900 for the two nights. The regular hotel wedding B&B tariff is £75 per person for one night (the wedding night) and a discounted £35 per person on the second night (normally the night before the wedding) for the first 50 guests. 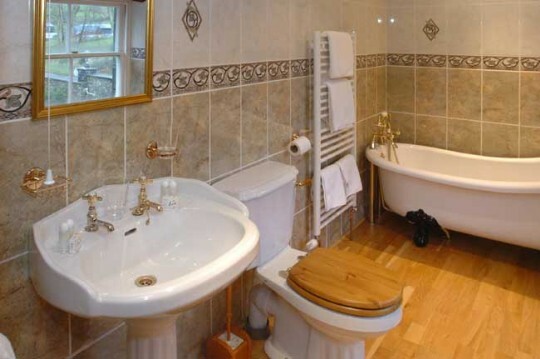 This works out at £110 per guest based on two sharing an en-suite for 2 nights. When 50 guests each pay for their own B&B, a total of £5,500 worth of accommodation (50 X £110) would be paid by your guests, which is £600 above your £4,900 contracted amount. This first example therefore leaves you to pay £16,000 less £5,500 Guest's use of B&B, so you pay £10,500 towards a wedding worth £26,746.50. The castle’s accommodation can take up to 100 guests. When you elect to have your guests book their own rooms with us at the regular wedding tariff, your first 50 guests pay a total of £5,500 (50 X £110). As we only have 25 en-suites, any guests above the first 50 are booked as additional occupants in family rooms or as overflow into a separate Budget accommodation block. Extras above the first 50 guests are charged at £35 per person per night. So if you had 70 stay two nights, that is 20 extra guests paying a further £1,400 in B&B on top of the £5,500 for the first 50 (£6,900). 70 guests staying two nights leaves you to pay £16,000 less £6,900 B&B paid by your guests, so you have a balance of £9,100 to pay for your two-day, full weekend wedding package worth £26,746. If you anticipate more than 70 guests staying - see our recommended Accommodation Tariff and Room options chart for guests here. You may also find more guests stay for the night of the wedding than the night before. The above chart will help you plan who goes into which rooms for one or two nights. You can also use the SRUM Special Room Use Planner here - plan which guests can share family rooms. You may wish to have your Guests pay for their own Evening Meal as well, on the Friday. If so, each guest is quoted an extra £25/ head for their Friday B&B booking for Dinner, which the Castle then collects when your Guests book their rooms. So if you had 70 guests stay two nights and pay for their Evening Meal on the Friday, you would have a further £1,750 (70 evening meals X £25) paid by your guests. This example reduces your payment for this Package by a further £1750. So 70 Guests staying both nights, booking the Friday on a D, B&B basis, pay £8,650 between them for their own D, B&B. This leaves you to pay a balance of £7,350 towards your two-day, full weekend wedding package worth £26,746, instead of the already discounted rate of £16,000. This option means you reduce your personal cost to almost one quarter of the £26,746 Value of the Whole Weekend Wedding V.I.P. Exclusive Use Package. Admittedly this Example is a little optimistic and really only applies if you have a lot of guests wanting to make a full weekend of it with you. This will tend to suit weddings coming from England or distant parts of Wales/ UK, where all guests will want to stay overnight and treat it as a weekend break away (at very good rates for two nights). Minimum of 70 Guests for the pre-wedding Event and Evening Meal on the day before your wedding, and a minimum 70 day guests and 100 evening guests for the Wedding Day on the Saturday. Your wedding has 'Full Exclusive use' of the Ground Floor Function Rooms Day & Evening, the 25 en-suite rooms in the castle, and the Budget Nurses Building rooms. 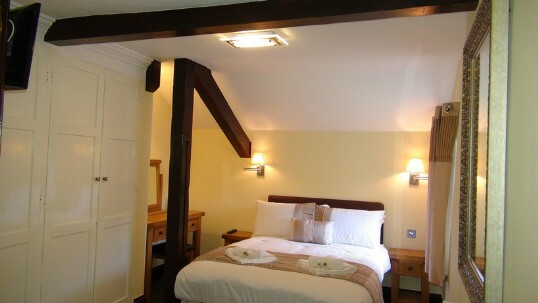 As well as the Castle function rooms, all the bedrooms are also exclusive to you, on this full Weekend Wedding Package. The Full Package rate is £16,000, which includes everything shown here. Kindly note, this All-Inclusive Two-Day Wedding Package is not available in 2021 or beyond at the 2019/2020 Tariff above. We will quote separately for 2021 and subsequent years. Extra Day Guests on the Wedding Day above first 70: If you wish to increase your Day Guests the cost is £85 per person up to 100 guests. Above 100 guests the Evening Buffet at £17 / head needs adding, making the rate £102 per extra Guest. Extra Evening Guests on the Wedding Day above first 100: Should you wish to have more 'evening only' guests, the cost is £17 per extra person for the evening buffet. Extra Guests on the Friday Evening: If you wish to have more than 70 Guests on the Friday evening, the cost is £25 / guest above the first 70. You contract directly with the DJ for the Evening Entertainment on the Wedding Day. The DJ charges £600 (2019 & 2020). The DJ is paid direct by you and the amount he charges is deducted from the balance of your £16,000 Full Package rate, so you end up paying the Castle £15,400 and the DJ £600. To Book the DJ, you pay him a deposit of £200, with the balance payable before the wedding date in accordance with the DJ's terms. See DJ availability chart 2019 and availability 2020 to ensure the date is available. See DJ's Terms & Conditions here. £4,900 of this Package rate covers your Guests' and your own B&B for the whole weekend and £1,750 covers the evening meal for 70 guests on the day before your wedding. 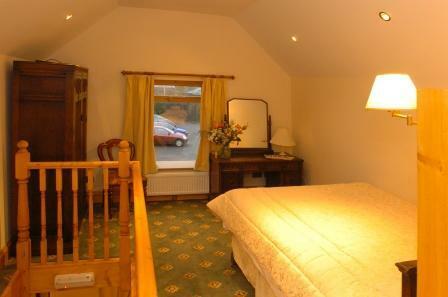 The B&B element of £4,900 covers all the accommodation for two nights B&B irrespective of numbers staying. 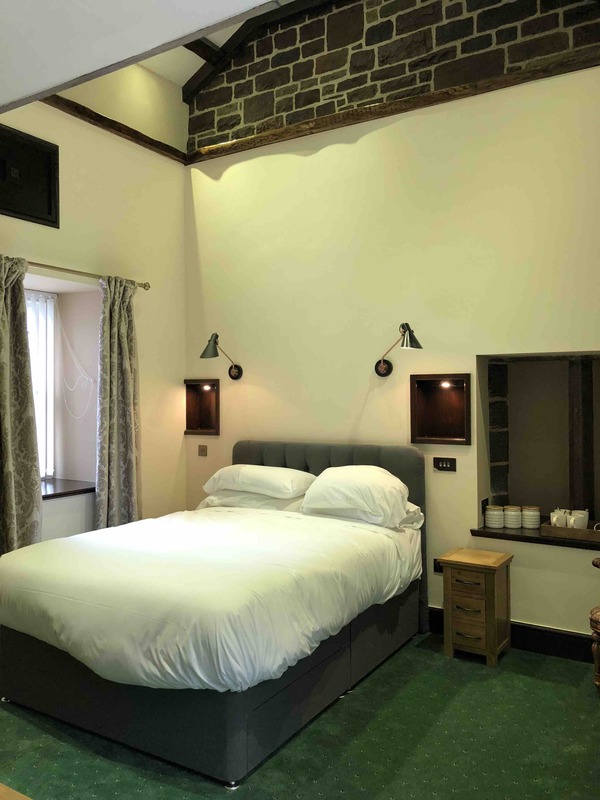 You may invite between 50 and 100 of your guests to stay overnight at Craig y Nos Castle. The maximum accommodation capacity is 100. You should read our accommodation guidance notes here and all associated links to understand how guests may be allocated to the available bedroom stock. 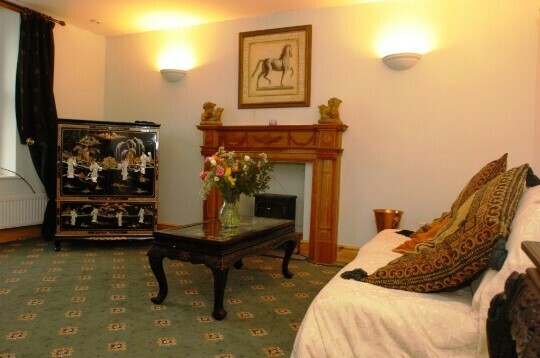 You may opt to have your guests book their accommodation with you direct or book with the castle. It is recommended you arrange for your guests to book and pay for their rooms direct with the castle at the current wedding B&B tariff as this allows you to make further savings on your Wedding Package. When you opt to have your guests book their rooms with the castle and pay the castle direct at the regular wedding tariff, a greater value in B&B income may be collected from your Guests, or a lesser value, than your contracted £4,900 booking for all our accommodation, depending on numbers staying. If we receive B&B or D, B&B bookings and income from your Wedding Guests, their collective B&B payments made to the castle are rebated against your Wedding Package total due. 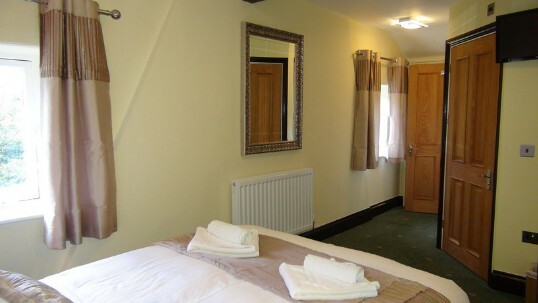 If guests are paying for their own B&B and assuming there is no added discount offered by you as the Wedding Couple, the standard two night rate for wedding nights for the first 50 overnight guests is £75 PPPN B&B based on two sharing an en-suite room on the night of your wedding, and a reduced rate of £35 PPPN the night before your wedding (if the guest is staying in the same room two consecutive nights). 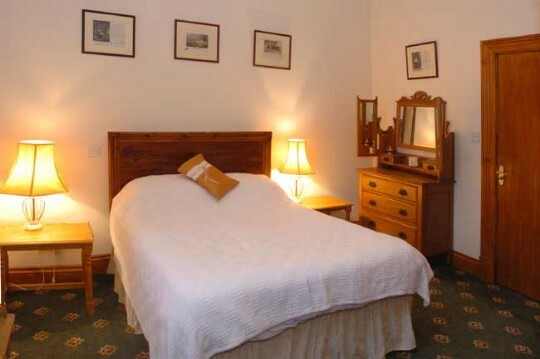 Extras above the first 50 are £35 per person per night B&B. The Dinner on the Friday is £25 Per Person. This is a further item you may ask us to charge your guests for, on booking their rooms (per accommodation example 3). Or you can opt to pay for the Friday evening meal for all your guests (it is included within your £16,000 Wedding Package). You can arrange with the castle to take B&B bookings (or D, B&B bookings) meaning that your guests then pay for their OWN accommodation. 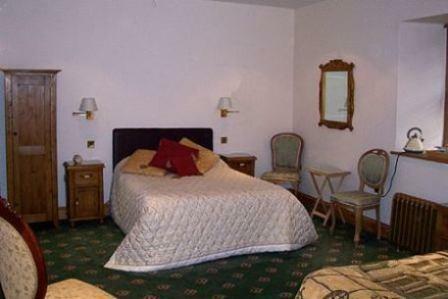 Alternatively, you can simply block-book all the rooms for £4,900, and allocate the rooms to your guests yourself. You would then choose either to have your guests pay you direct an amount of your own choosing for their rooms, or you could even offer your guests free accommodation - you choose. If you are arranging accommodation for your guests and booking them into the most suitable rooms, you will need to supply us with a completed SRUM 48 hours before the wedding date. See also the Accommodation chart here. This is how you advise us exactly who is in each room, for fire and safety purposes. We will also require a list of guests' phone numbers and addresses for all guests staying. This Wedding Package covers a minimum of 70 Day Guests at your wedding on the Saturday and 100 Evening Guests for the Evening Buffet. Extra Day guests above the 70 minimum up to 100 may be added at a Rate per Day Guest of £85.00, comprising the unit cost of the three-course wedding breakfast, the Welcome Drinks and Wedding Banquet Drinks Package, chair-covers, and Canapes. (Above 100, add £17 for the Evening Buffet also, = £102 per guest > 100). Extra Evening Guests above the 100 minimum may be added at a Rate per Evening Guest of £17.00 per head for the Evening Buffet. Rates for children's meals are shown here. A lot of our Wedding Couples want exclusive use the night before their wedding as well, and our full Weekend Package and our Last Minute Wedding Package both allow for this, subject to availability. To be sure of good accommodation usage on the night before, you could organise a pre-wedding event, a local tour, or an interesting activity or activities. For bookings within the next 6 months or winter weddings, the Last Minute Wedding Package may allow you to reserve rooms the Night Before your wedding if the night before has no wedding booked, or if the night before's wedding has low accommodation use (such as another small Last Minute wedding). For bookings > 6 months ahead, the Weekend Exclusive Deal allows you to secure all our Accommodation the night of your wedding and the night before your wedding. You should only book the Full Weekend Package if you are going to make something significant of the day before your wedding, to encourage all your guests to make a full two day break of it. If you have a Saturday wedding, then the day before your wedding will be the Friday, and if you have a Sunday wedding, then the day before your wedding will be the Saturday. 1. Ghost Tour (max 30 guests). 2. 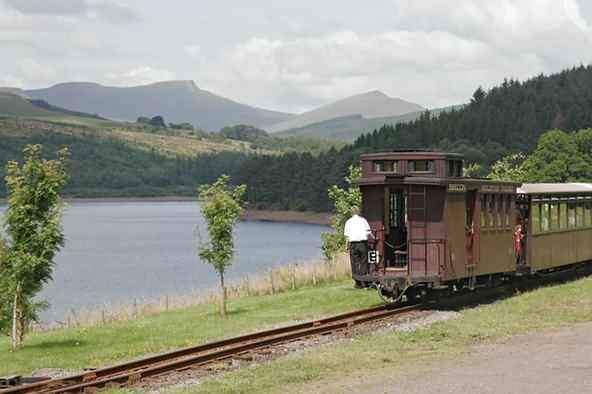 Scenic steam train railway trip on the Brecon Beacons Mountain railway for your Wedding Party. 3. Gorge Walking Adventure - best in summer, for the young and active! 4. Breath-taking Beach Walks with plenty of fresh sea air and a pubby meal on the Gower. 5. Outing to the fascinating Museum of Welsh Life near Cardiff'. 6. 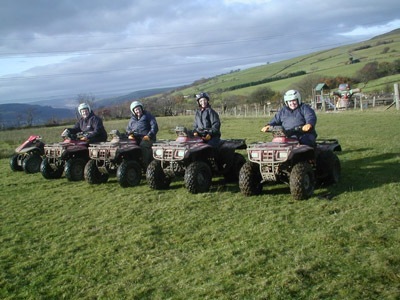 Quad biking, Archery and numerous other outdoor activities for the more adventurous. 7. 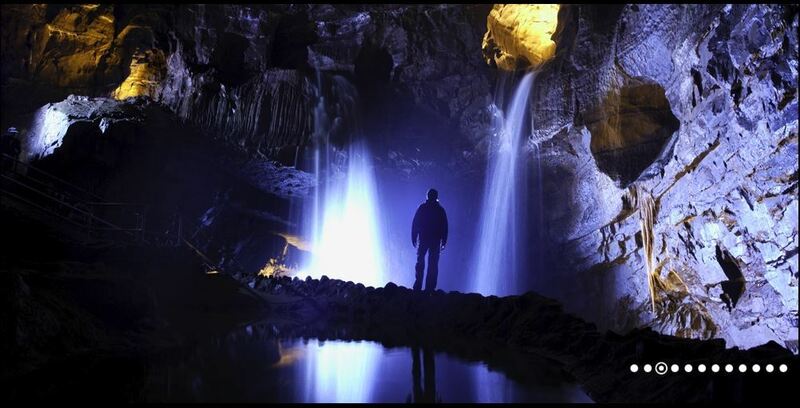 Tour of local attractions, numerous places to see here - including Local Waterfalls, National Showcaves, driving tour of Elan Village Reservoirs, with excellent tourism area at Elan Village telling the story of this area, and numerous other suggestions on this page. You could consider laying on a group trip to one of these attractions and this would certainly make your wedding more of an event for your guests. 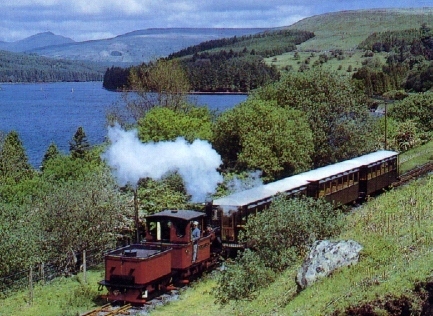 None of these attractions are expensive and many are free, such as Elan Village and (aside from £2.00 or so parking) the Museum of Welsh Life. If you are planning a one-day Wedding, with very few staying the night before, then see our one-day Wedding Packages. With a one day Saturday Wedding option, note that someone else will probably book the Friday for their wedding, meaning you will not be able to secure many rooms for your guests the night before your wedding. Casino Hire - sophisticated and classy entertainment, also suitable for the Wedding Day evening. See how one Bride created a Casino Royale entrance to the Castle, for the day before her wedding. DJ Pure - if you want to start the party a day early. Table Magician - for a quieter evening event, where your guests may gather around at dinner tables chatting, and having the time to enjoy an hour or so of Table Magic. 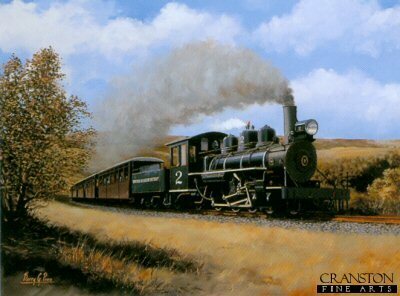 See more ideas on what you can do here. Build your Wedding into a fantastic Two-Day Weekend Wedding Event for all your guests! With only a little extra effort, your wedding can be truly unique and exceptional, putting all other weddings your guests have ever attended into the shade by comparison. See this link on how your wedding can be the best and most unforgettable of them all - a stag party, a hen party, and a pre-wedding party and a wedding, all rolled into one. DJ Pure - See the Special Evening Entertainment package. This £1100 service is included in the Weekend Exclusive Deal VIP Package (Castle pays the DJ). Florist - Centre of Attention - very good discounted rates apply. Francis Floral Designs - reduced rates exlusive to Craig y Nos Castle from this local supplier.